I’ve been telling folks about the dangers of vaccines for more than thirty years. Nice to see others finally catching up. What you don’t know about vaccines just might kill you or someone you love. The ingredients can cause permanent brain damage, cancer, infertility, and a host of other significant and sometimes life-threatening issues. Luckily for us, Catherine Frompovich, a long-time contributor to Activist Post, has published a definitive book in her own unique writing style, that breaks down the shocking ingredients in today’s vaccines: Vaccination Voodoo: What YOU Don’t Know About Vaccines. If you want information from respected researchers, testimony from noted experts, and well-sourced statistics, this is the book for you. Catherine takes a look at the toxic ingredients one by one, explaining the effect of injecting these substances into the human body. Some of her sources include the Center for Disease Control, The Lancet, the National Institutes of Health, and the Journal of the American Medical Association. If you are a parent, it’s vital that you learn about what the medical industry wants to inject into your child. You must know the pros and cons, weigh the risks and benefits. You won’t get the information you need from the doctor or nurse at your pediatrician’s office. There are secret ingredients that don’t show up on labels, like the kidney cells of monkeys, cells from aborted human fetal tissue, and genetically engineered insect viruses. Adjuvants in vaccines actually weaken our immune systems, making us more susceptible to illnesses. Heavy metal ingredients pass through the blood-brain barrier and can cause life-long neurological damage. Undisclosed ingredients given in vaccines to very young children can be at the root of the rash of severe life-threatening allergies that so many people suffer from these days. The comparison of American vaccine schedules with the schedules of other countries is mind-boggling. Even though schools will try to tell you otherwise, there are exemptions available n every state for your child to attend school without receiving vaccinations. There is also input from such luminaries as Paul G King PhD , Mike Adams, Roxie Fiste, Ethan A Huff, Tim O’Shea DC, Cilla Whatcott, Judy Wilyman, Isabella Thomas, MD JD MPH, and Mayer Eisenstein. Vaccination Voodoo uses peer reviewed journal studies, U.S. health agencies information, and other documentation to disclose what’s in vaccines that consumers, unfortunately, do not know. Vaccine ingredients can include such components as Thimerosal, which is 49.6% ethylmercury, aluminum, 2-Phenoxyethanol, formaldehyde/Formalin, polysorbate 80, phenol, antibiotics, gluteraldehyde, MSG, sodium borate, plus a ‘shopping list’ of other neurotoxic chemicals, along with vaccine production media that includes anything from monkey kidney and other animal tissues to genetically engineered insect virus to diploid cells, which are aborted human fetal tissue. Surely, vaccines are not just an antigen and saline water, as many health professionals would have you believe. The book discusses adverse effects from vaccines both in trials, and in foreign countries where vaccination campaigns are being closed down by governments due to so many adverse effects from vaccines–something the U.S. media doesn’t report. Vaccination ‘politics’ and how they affect everyone from the newborn infant to senior citizen become apparent with the author’s candid discussion of what her research of vaccines since the 1980s has uncovered. Many of the myths revolving around vaccines and vaccinations are exposed for what they truly are, public relations and media spin. Vaccination Voodoo, What YOU Don’t Know About Vaccines will open readers’ eyes to information they should know and utilize as part of being informed healthcare consumers. Some readers may find the author’s writing style to be a bit unusual. This should not influence the decision of whether or not the information contained within is useful. 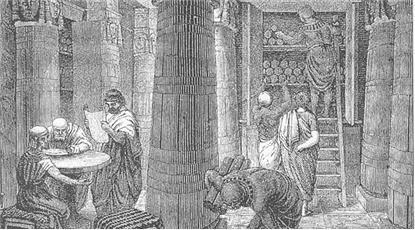 The sources are carefully cited, and the research is very credible. To make informed choices about the medical care that you and your children receive, rather than just accepting what the doctor tells you, use the data compiled in this book. Check things out thoroughly before allowing your innocent kids to be injected with whatever the physician suggests. There is no reason that you can’t make a second trip if you decide, after reviewing the information, that the benefits outweigh the risks. Don’t be pushed, guilted, or bullied. It is your job to protect your children, and you must have the resources to make informed decisions for them. 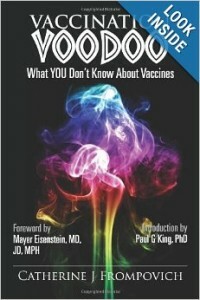 Vaccination Voodoo: What YOU Don’t Know About Vaccines is a must-read to combat the disinformation being put forth by the medical industry, Big Pharma, and the government, who are aided and abetted by the mainstream media. I strongly recommend the information contained within this book. Note of disclosure: I received a review copy of this book, but I do not benefit financially from its sale. Please note that the link to Amazon is NOT an affiliate link. My endorsement of this book will not result in any personal financial gain. It is a sincere reflection of the quality of information put forth in the book.